Click “Get Notifications” to turn on notifications on Facebook. Pulse “Get Notifications” / “Recibir notificaciones” para activar las notificaciones de Facebook. 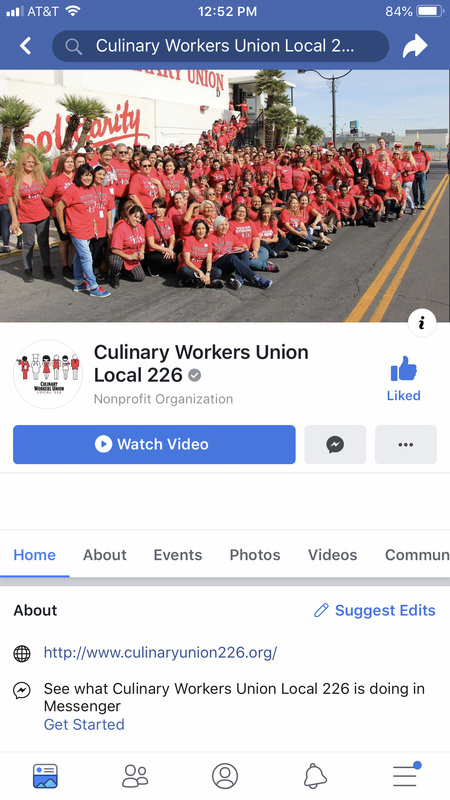 Make sure "See First" is set so you always find new posts from the Culinary Union at the top of your Facebook News Feed. Asegúrese de seleccionar "See First" / “Ver Primero” para siempre ver las nuevas publicaciones de la Unión Culinaria en el tope de las Noticias en Facebook.